If you’re watching the 2018 Super Bowl and thinking to yourself, “Oh my god, what just happened, was that Tyrion Lannister rapping and eating Doritos and BREATHING MUTHER-EFFING FIRE,” then you’re not alone. We’re all thinking that and we’re all also wondering if Doritos just hinted that Tyrion Lannister is actually a Targaryen. 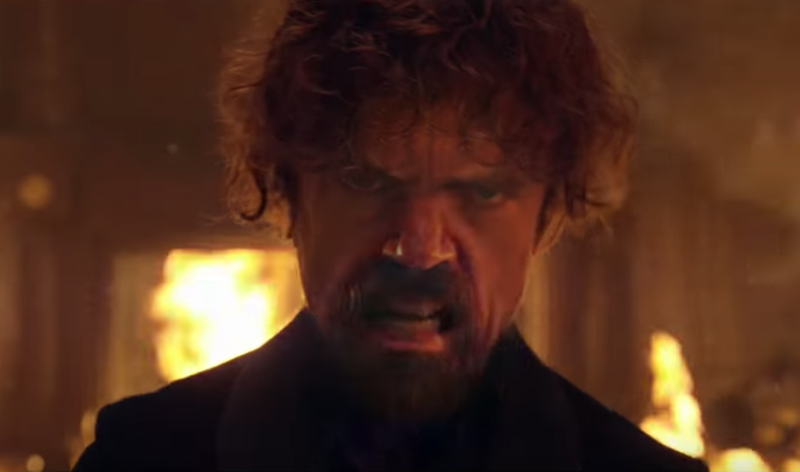 We were alerted that there would be a Peter Dinklage and Morgan Freeman rap battle for a Doritos/Mountain Dew commercial, but never in a million years would we think that it would hint to a huge Game of Thrones theory: That Tyrion Lannister, family outcast and Daenerys’s righthand man, is actually a dragon. In the Super Bowl commercial, we see Tyrion, I mean, Dinklage, rapping to Busta Rhymes’s “Look At Me Now,” in front of a fireplace and old-timey looking living room that could totally be from a Game of Thrones scene. In the end, he breaths FIRE. Like, that is not subtle, Doritos. Not subtle at all. Shortly after, in the same commercial but for Mountain Dew, we see Morgan Freeman rapping to “Get Your Freak On” by Missy Elliott. He’s surrounded by ice, obviously, although we’re pretty sure Morgan Freeman is NOT involved in a Game of Thrones theory. I mean, you never actually know. If you’re a Game of Thrones fan, which I’m assuming you are if you’re reading this, then you probably have ready many a reddit thread about Tyrion Lannister’s questionable heritage. You can read all about it here, but basically the theory states that Tyrion could totally be Targaryen because a) that would explain his father and his siblings’ intense hatred toward him, b) Dany’s dragons allow him near them, and c) in the books, he actually has white-blonde hair, NOT golden blonde hair. There are more clues in the show, books, and internet — and now there’s one in a Doritos commercial.